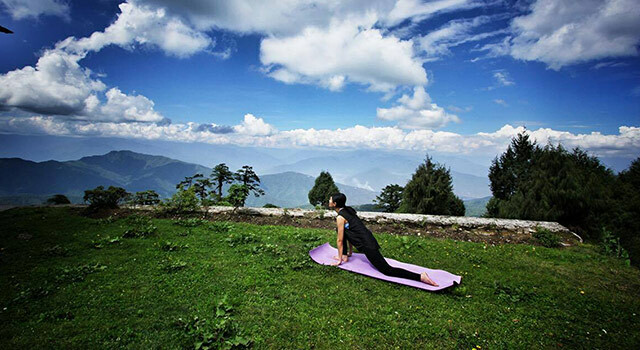 Bhutan Tours and Travels is please to present our first ever Bhutan Jivamukti Yoga Retreat. 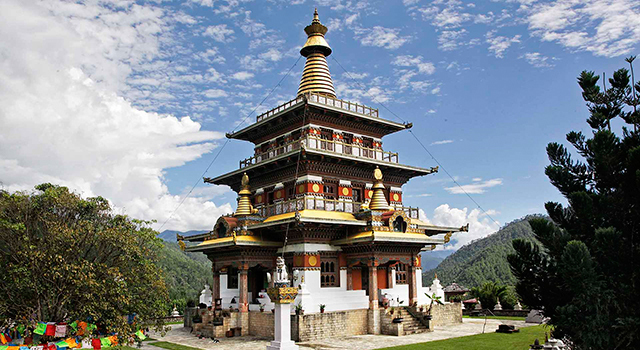 Journey with Jivamukti certified teacher Bernadette and Alan Gates as we explore the deep and rich cultural and spiritual heritage of Bhutan. The Jivamukti yoga method follows the path of founder Sharon Gannon and David Life as a practice for the Jivamukti, one who seeks liberation during this lifetime. Each day will be an immersion into Bhutanese culture as we are steeped in the wisdom of a nation in harmony with nature, conservation, compassion and annually rated as one of the happiest places on Earth. The daily Yoga practice will study and apply the five tenets of Jivamukti yoga: Ahimsa (Non-Harming), Bhakti (Devotion), Dhyana (Meditation), Nada (Centering Sound), Shastra (Study of Yoga Philosophy and Texts). We will integrate these tenets into our daily asana classes and our enrichment from our local Bhutanese hosts. 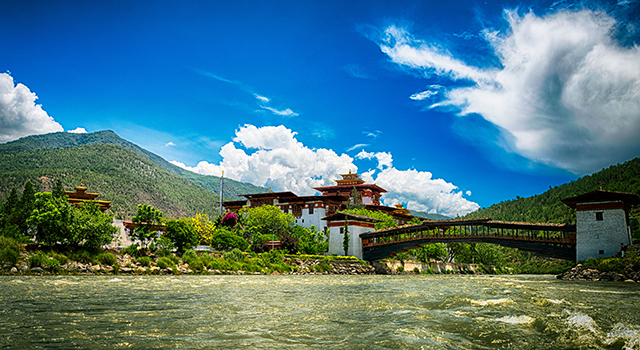 Come, explore and experience the beauty and the unique culture of Bhutan while doing Jivamukti yoga across the country with Bernadette and Alan Gates. 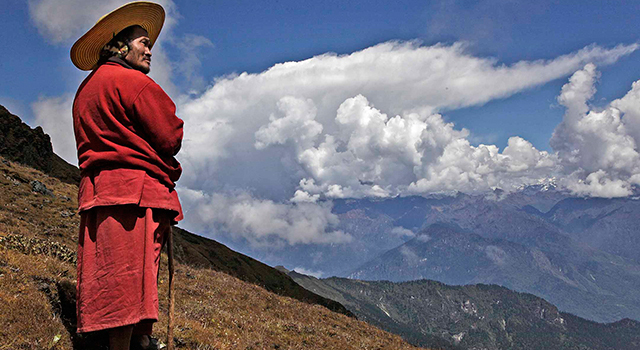 Bernadette, first traveled to the Himalayan Kingdom of Bhutan in 2010 as a volunteer physiotherapist. In addition to her work at the hospital in Thimphu, Bernadette studied meditation techniques from a Buddhist Lama, and explored Tibetan Heart and Sivananda methods. 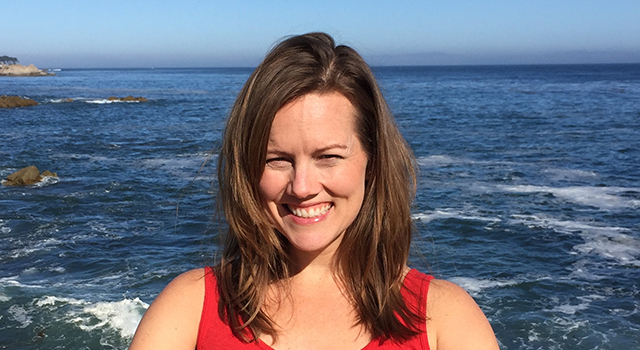 Upon returning home to San Francisco, Bernadette was inspired to enroll in a RYS 200 hour teacher yoga teacher training studying with Darren Main and became a certified instructor in 2011. Bernadette discovered Jivamukti Yoga soon thereafter. Alongside her brother, Stanley Currier, Bernadette completed the 300 hour Jivamukti Teacher certification in 2015 at the Govardan Eco Village in India. A vegetarian since the age of 11, Bernadette connected deeply to Jivamukti’s teachings of compassion and non-violence to all beings. Most recently Bernadette has studied with James Fox, founder of the Prison Yoga Project, learning his profound mindfulness method designed to release deeply held, unresolved trauma. Bernadette teaches at Nandi Yoga in San Mateo, California. As a manager of Rehabilitation Services and Senior Physical Therapist at Zuckerberg San Francisco General Hospital, Bernadette integrates her belief that yoga is a path to healing. She has studied yoga for special for special populations, including individuals with breast cancer, chronic low back pain and neurological conditions. Bernadette brings her expertise in movement analysis and injury prevention to guide her yoga students on and off the mat. Our co-teacher Alan Gates was first introduced to yoga in 1998 and was drawn to its holistic combination of physical, mental and spiritual wellness. A renewed passion for yoga was kindled in 2014 as he recovered from some of the recurring injuries of participating in triathlon and discovered Jivamukti yoga. His practice has evolved to incorporate the wisdom and health found in deep connections to the body. Alan completed his 300 hour training with Sharon Gannon, Davide Life and Jules Febre at Govardan Eco-Village near Mumbai, India. Additionally Alan has been certified through a Yoga Alliance RYS 200 hour program at Nandi Yoga in San Mateo, CA, Cosmic Kids Children’s yoga certification and is currently completing an advanced RYS 300 hour studying with Giselle Mari. Alan is an Episcopal priest, a father of two, and married to our Jivamukti teacher Bernadette, making yoga a family passion. All meals on this retreat will be vegetarian with vegan options. 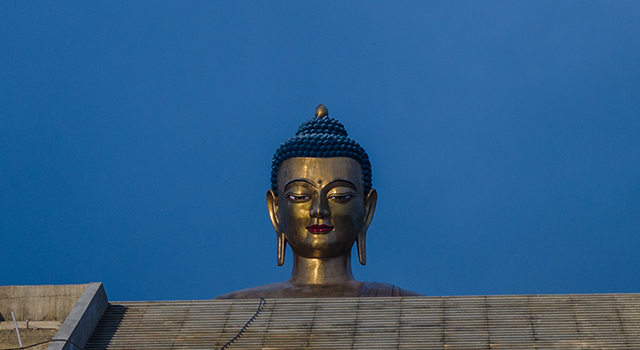 Drive about 1-2 hours to Shalupangkha, a remote monastery, in Gaselo, Wangdue Phodrang.